The hot Texas nights were lonely for Ben before he met Tim Wyman, the man he would one day marry. Now, 20 years later, everything is perfect. Isn't it? As Ben struggles with guiding his adopted son toward happiness, he begins to question his own path in life. Tim is little help, pulled away by artistic success and faced with temptation, but true love should be able to overcome such obstacles...if only their struggles ended there. 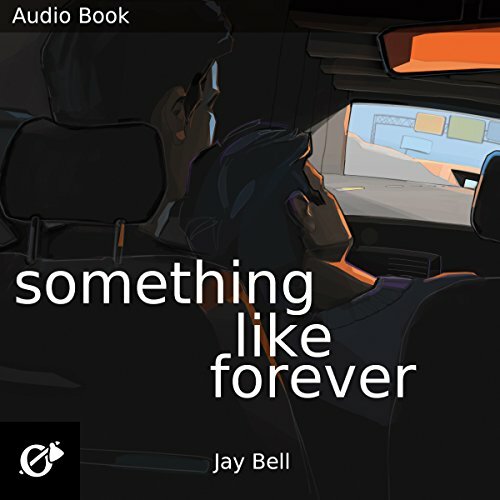 Something Like Forever is a love story spanning a lifetime and beyond, as two men discover what it means to be friends, lovers, and so much more. How does one finish such an emotional series? I had that question on mind when Forever was announced. What will happen to Ben, Tim and family. Where will my beloved Jace fall? what will Jay do? I need not have worried, because Forever answered everything. It had joy, laughter, love and buckets of tears but every single was worth it... heck there were happy tears at times too. Thank you Jay for the fitting finale and Kevin R. Free for the superb narration, you made them all come to life. This perfectly ended an amazing book series! It is one of the most satisfying series finales I’ve read! It is such an amazing wrap up of this something like series. I could say that this series change my life in a good way. Thanks Jay Bell and Kevin R. Free for such a wonderful work. I would recommend anyone of you to start from the top of the series. You will fall in love with all of them. This book, I believe the 11th installment in the Something Like series, is so wonderful. It perfectly wraps up this lovely story with all of its ins and outs and goes farther beyond in the stories than you would expect! I wish these stories would never end but I’m sure we will expect more great things from author Jay Bell! I loved this book, cried through out the entire book. I'd recommend it to everyone! This last story was amazing. That's the best way to put it. Everyone's story finally came to a happy conclusion. I am sad but happy as well. heart hurts. but I'm glad the series has its ending. am I the only one who noticed Noah's story isn't on audiobook?? It was the perfect ending of the saga! Thank you Jay Bell for these wonderful books! Truly amazing and worth the read! Thank you!